SHEFEXIL (Shellac & Forest Produce Export Council) is entrusted with export promotion activities for several natural products including: Guar Gum, Shellac & Lac based products, Tamarind Kernel Powder, Medicinal herbs and Vegetable Saps and Extracts. These products find myriad application in Food additives, Confectionery, Pharmaceutical and Industrial uses such as textile thickeners. This event would truly be of value to genuine buyers, as products are high quality, natural products with multifarious applications. The travel, hotel, stay & local travel of some selected buyers would be completely sponsored by organizers. 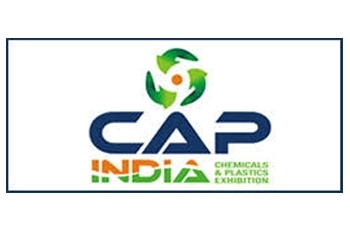 Travel and accommodation offer to foreign delegates attending buyer-seller meet at CAPINDIA 2019, March 26th - 28th. ·E-ticket or Reimbursement will be provided from the capital city of the respective country to Mumbai. Africa + Commonwealth of Independent States (CIS)/ ASEAN + Australia & New Zealand + Middle East + European Union + Rest of the world: Maximum Reimbursement up to of USD 650 or the air ticket amount, whichever is lower. It is requested that potential buyers and relevant trade associations from Kazakhstan may send complete details such as name of company, authorized contact person and contact details (E.Mail / Direct Number, Cell Number) to shefexil.capindia@gmail.com, shefexil@gmail.com at the earliest, to enable organizers to send the relevant invitation details directly after selection. The selection of buyers will be subject to approval of special selection committee, and deadline for the application is 10th Feb., 2019.